I went to a friends wedding this weekend and the flowers were stunning.the wedding arch was outstanding a perfect setting for the vows and photographs. 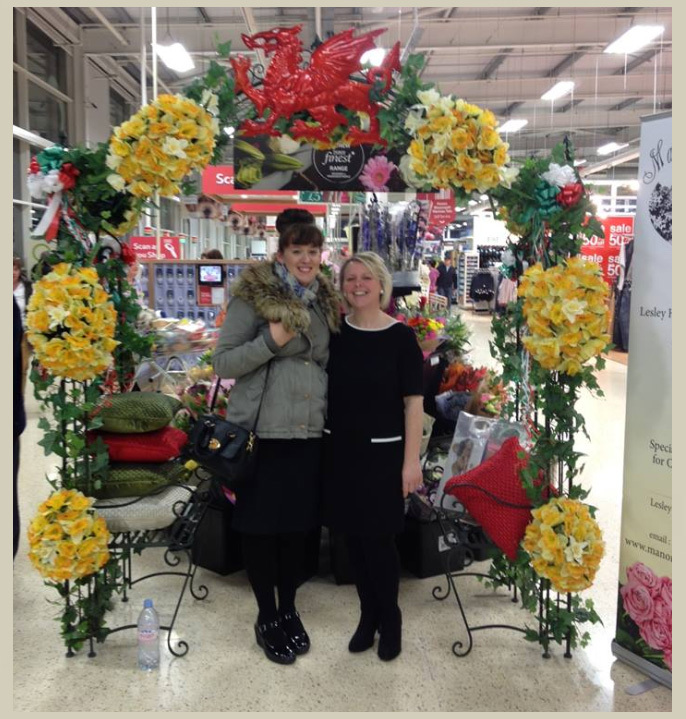 Very impressed by the range of floral wedding arches that Leslie designs.They look amazing! The centre table display and Christmas wreath that she created in December were truly magnificent and both lasted beautifully, for ages. 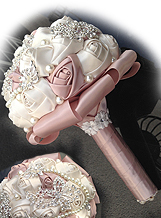 Definitely recommend Leslie for her artistic floral skill and attention to detail.= in her compositions. 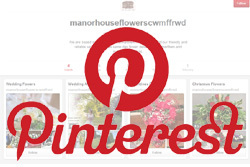 Manor House Flowers Cwmffrwd specialise in creating bespoke wedding arches. 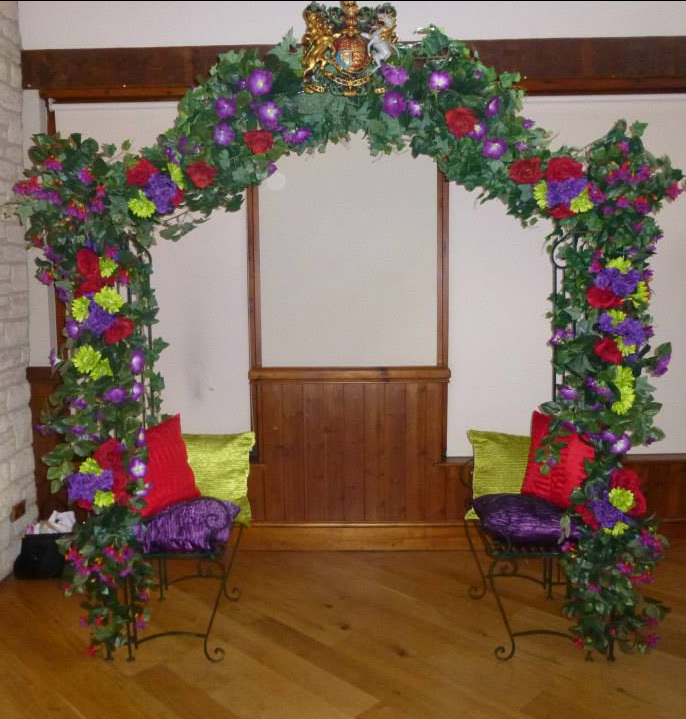 Wedding arches are available to hire in different shapes and sizes and in a variety of materials. 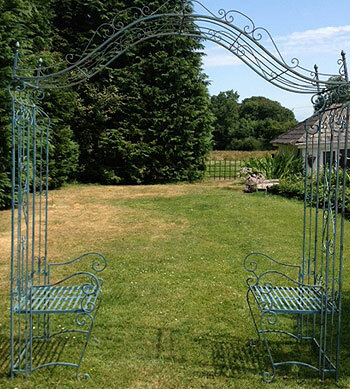 Our most popular wedding arches are created and designed from hand made decorative wrought iron. 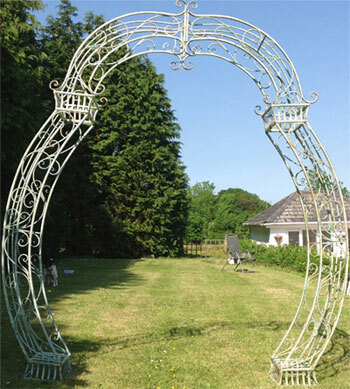 These wedding arches come in the shape of a Horseshoe, elaborate Georgian designs with exquisitely designed spindle-work, round Rose garden shapes and square arches. 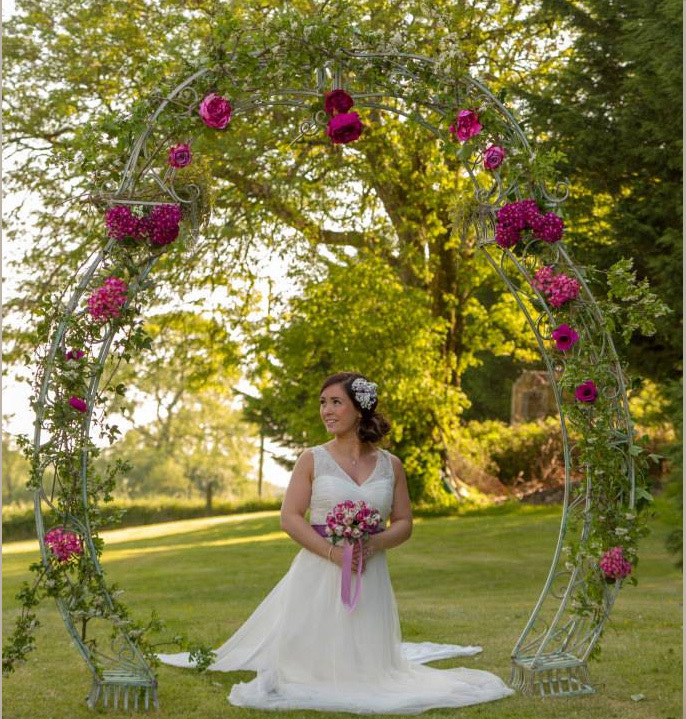 We can also provide a range of heavy wooden wedding arches with a choice of different shaped tops. 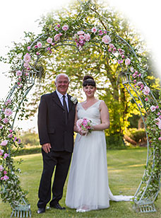 Both wrought iron wedding arches and wooden ones can be used inside venues and outside in a garden area which are simply perfect for a Civil Marriage setting. We also have a Georgian wedding Arch available for hire with 'kissing chairs' built into the arch known as 'The Cariad Arch'. 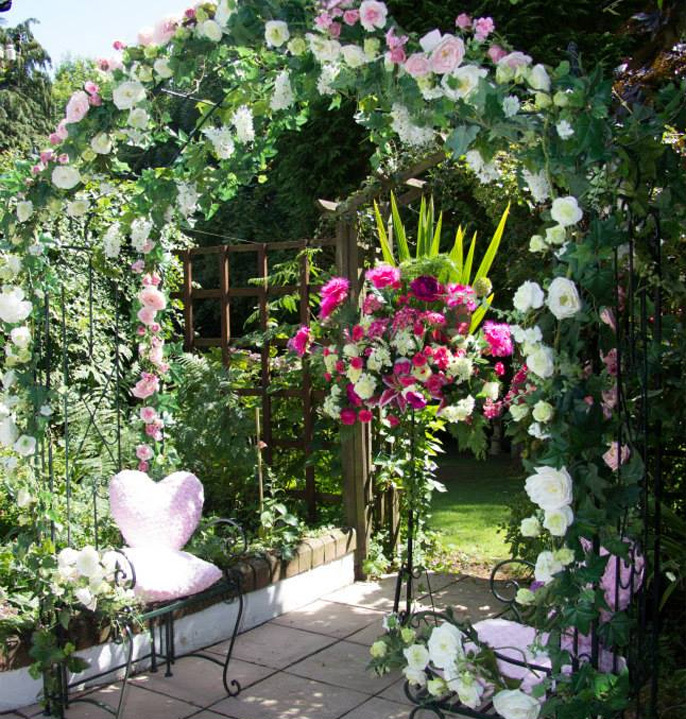 These arches are exclusively created for each wedding and can be decorated with either fresh foliage and flowers in season, silk flowers and even a mixture of fresh and silk flowers depending on the time of the year you are thinking of getting married. 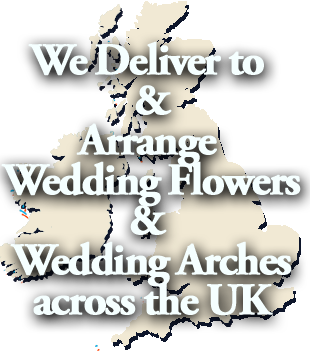 Whether your wedding is in Winter, Spring, Summer or Autumn, we can create your perfect wedding arch exclusively for you. 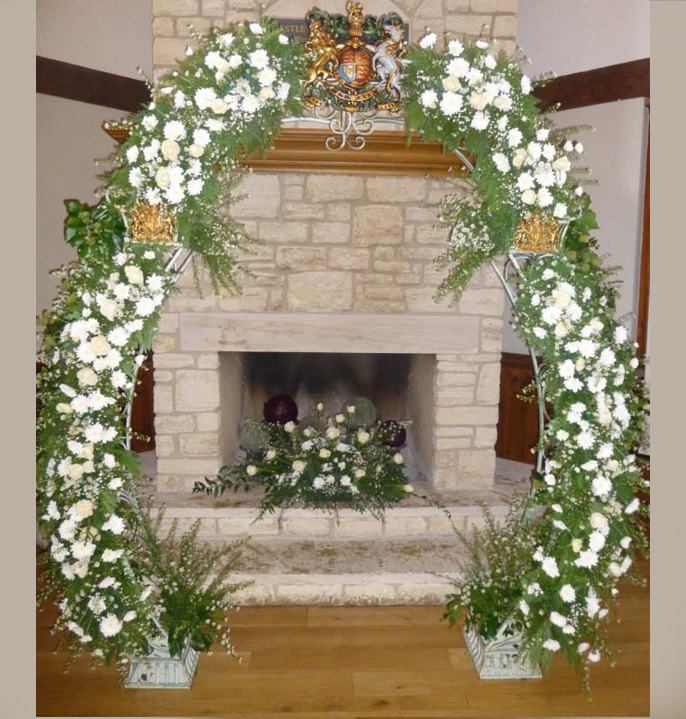 If you are thinking about getting married at Christmas time, we can also create that perfect Christmas Wedding Arch for you, using pure white Christmas Roses, Pointsettia's, Amaryllis, fresh Pine Cones, ruby rich Christmas Berries, Holly and Ivy and Christmas red Roses. 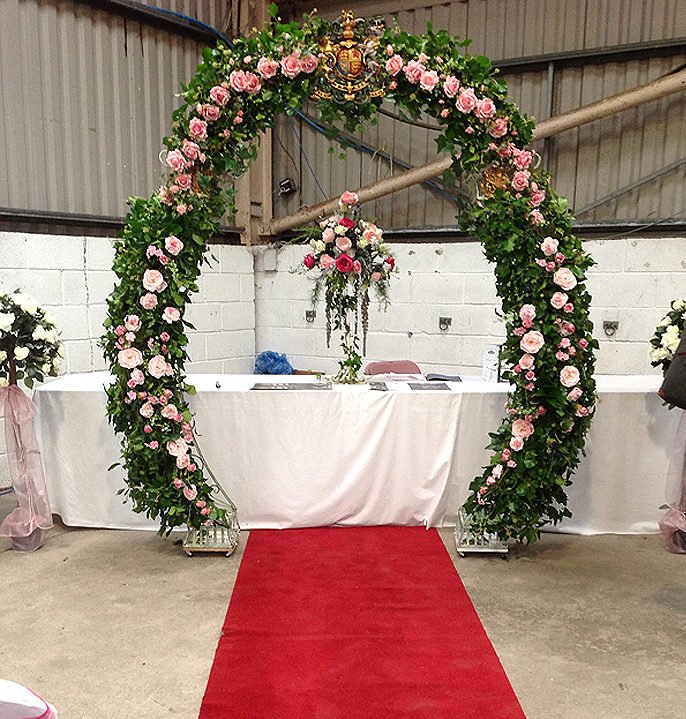 As our Wedding arches have grown in popularity, we have also created specialist 'themed wedding arches'. From Pirates of the Caribbean using stunning palms, Amaryllis, Tropical Anthuriums, Heliconia and Alpinia; to a tribute to the Royal Navy. These wedding arches enable your photographer to take stunning photographs that give that extra special and unique edge to your wedding day. 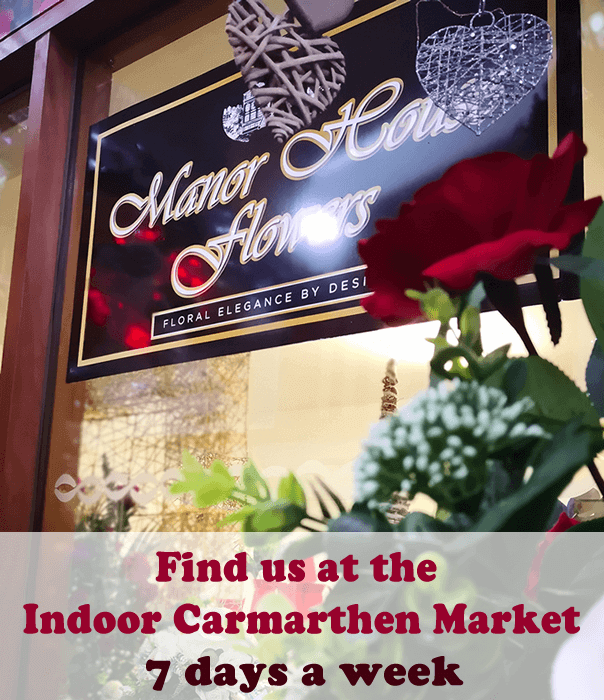 Our arches are a favourite with all the local photographers in Carmarthenshire and beyond. Beautiful photographs can be taken either as you enter the Church but particularly as you exit the Church as a married couple. 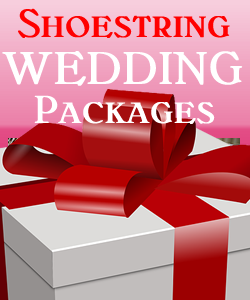 We offer Wedding arch hire in Carmarthenshire, Cardiganshire, Pembroke, Swansea, Cardiff (West and South East Wales) and Bristol areas of England.